The ARCA Racing Series presented by Menards is the sanction’s marquee tour, and has been since its inception in 1953. 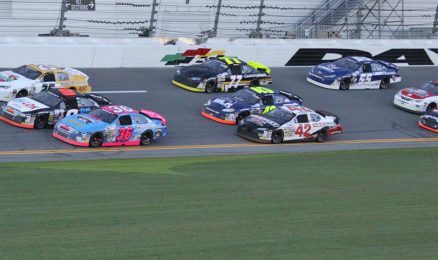 However, the ARCA sanction runs a lot deeper than the national division, often including well over 100 events throughout any given season. As it shakes out in 2016, 122 events fill the calendar to include as many as 94 race events, plus 28 ancillary events that support the racing activities throughout the year. From the ARCA Racing Series to the ARCA/CRA Super Series and Midwest Tours; from the ARCA Trucks to Toledo and Flat Rock Speedways; from flea markets to a demolition derby and school bus figure-8s; from the Silver Crown Series to winged sprint cars and supermodifieds … there’s something here for everyone. Did we mention the banquets? Listed below is a complete and chronological look at all the activities that will make up the ’16 season. Time to take a deep breath, dig in and get going.